Thaw frozen vegetables and shrimp in microwave according to package directions. Add remaining ingredients to the pan and cook for 5-10 minutes (just long enough to heat the veggies and shrimp and mix all the flavors). The above recipe is for 4 servings. Far a larger crowd you would use about 2 bags veggies, 1 pound shrimp, and 1-3 cloves of garlic for every 4 people. Then add enough lemon juice, zest, salt and pepper to your liking. 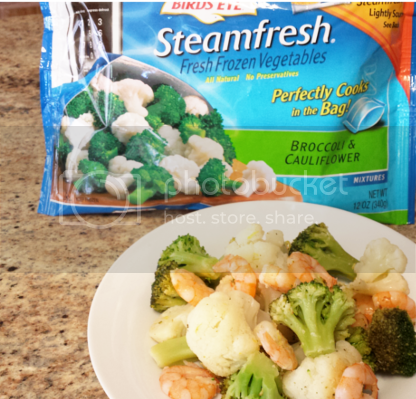 The Pinnacle Bird's Eye Steamfresh bags are my first choice when it comes to frozen veggies. The taste is as good as cooking with fresh vegetables and they are a quick and simple way to jazz up any meal. The benefits of frozen foods are amazing, especially when it comes to whipping up an entire meal in a matter of minutes. A healthier option for dessert (and one of my favorites) is to pair ConAgra Healthy Choice Greek Frozen Yogurt with fresh fruit. My kids actually prefer this to ice cream!! As a mom, it is a huge plus when you find healthy options that your kids actually enjoy. If you are planning a child birthday party, these would be a great alternative!! 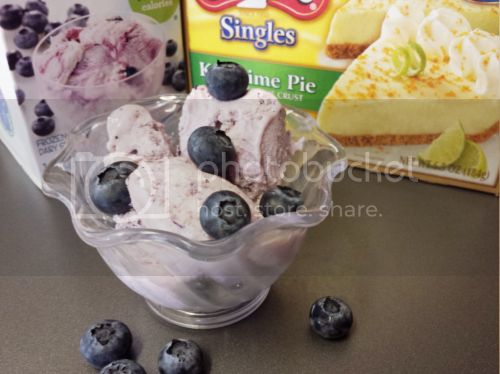 Here is another great frozen food that I love! My husband and I usually don't eat breakfast (yes, I know it's the most important meal of the day... blah, blah,blah). However, we often have friends or family that will stay a night or two. In these cases I feel as though I should at least offer them breakfast. Just because I don't eat breakfast doesn't mean my guests should starve, right? 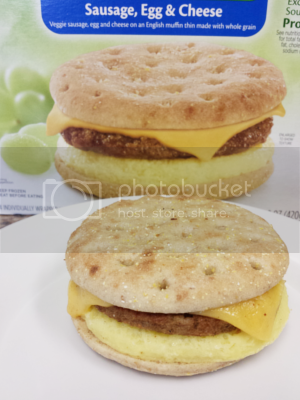 These Kellogg's MorningStar Breakfast Sandwiches are perfect for guests to help themselves to their own breakfast! Portion control - Perfect for yourself or serving a large group. Ease of preparation - Spend more time enjoying conversations with friends and less time slaving away in the kitchen! 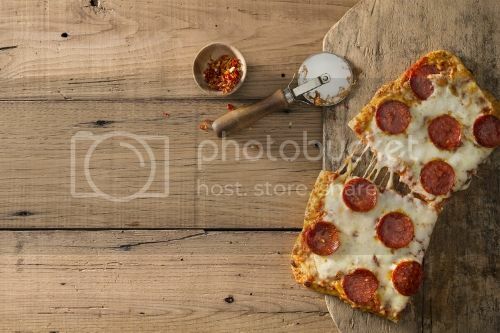 Ability to try different types of cuisines . Frozen foods are ready when you are. They allow today's busy family to spend less time apart and more time enjoying wholesome, tasty meals around the dinner table.